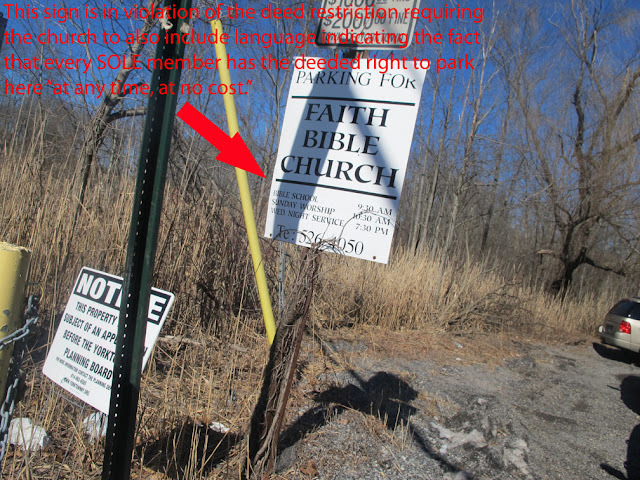 Someone's not being honest with themselves, their community, the Mohegan Lake residential community and the Yorktown government. Today, Sunday, February 26th, 2012, Faith Bible Church parked 88 cars to support an average occupant load; an average load, per pastor Zottolli's Planning Board application is about 150 to 160 people. The new building that would take the place of two single family homes and the very small church that allows 100 occupants 3 days per year would allow for 344 people on the second floor alone. The church's architect, Larry Dalfino, has made up a code section about "non-simultaneous occupancy" claiming the 1st floor would never be occupied if the 2nd floor was being used. That's not only a lie, but also completely unenforceable. Read the deed that ZBA chairman Gregg Bucci never took the time to read, here. Let's set that falsehood aside. Let's pretend that the church is legally allowed to occupy the premises with "150-160 people" and park 88 cars on site to get those people there [the church is actually only allowed 100 people 3 days a year, for 3 hours and can only legally park 23 cars on site]. Let's then pretend the town approved "344" people to occupy the new building. How many cars would they have to park to support that occupant load? If it takes 88 parking spaces to allow 160 people on the site, how many spaces would be required to support 344 people? This is middle school math, but I'm going to give away a $40 gift certificate to The Winery At St. George for the first person to correctly figure out the number of parking spaces required to support 344 people (based on the current ratio of 88 cars to 160 parishoners) and leave the answer in the comment section. Good questions. 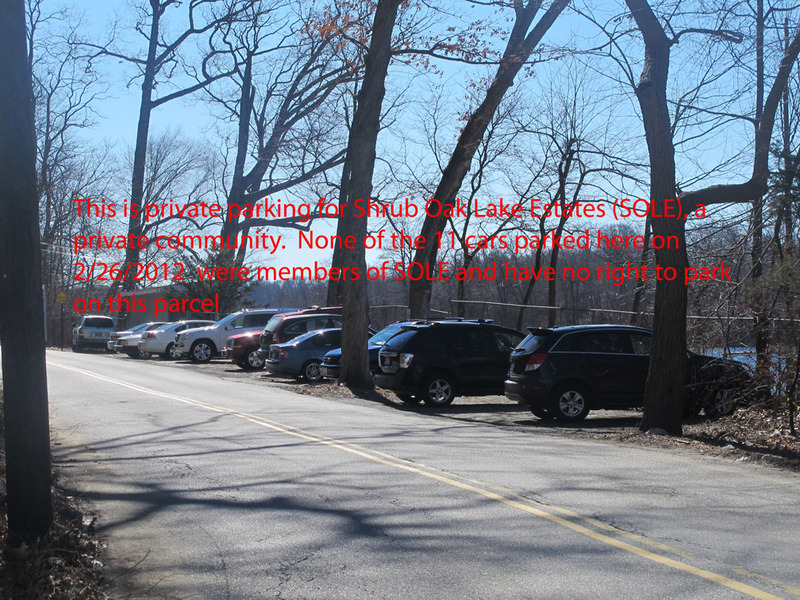 I have brought up the illegal parking and occupancy issues up with Yorktown officials going back to March of 2011. The town is either unable or unwilling to enforce their own laws. The church's engineer has more or less admitted that they park as many cars today as they are proposing for the new development. It would seem that the applicant's attorney and professional engineer are adept at sweeping inconvenient, pertinent facts under the rug. Not sure how they do it, but if we let this go unchecked, all of the homeowners in the area will feel the pinch when home values plummet because of this "monstrosity" to quote Bob Fahey of the Zoning Board of Appeals. [note: even though he went on record stating it's a monstrosity, he still voted for all of the major zoning variances that can't be sustained by the land].